The Honorable Judge C R Yates U S Judge Of Immigration is a painting by Carver Shivers which was uploaded on October 7th, 2010. 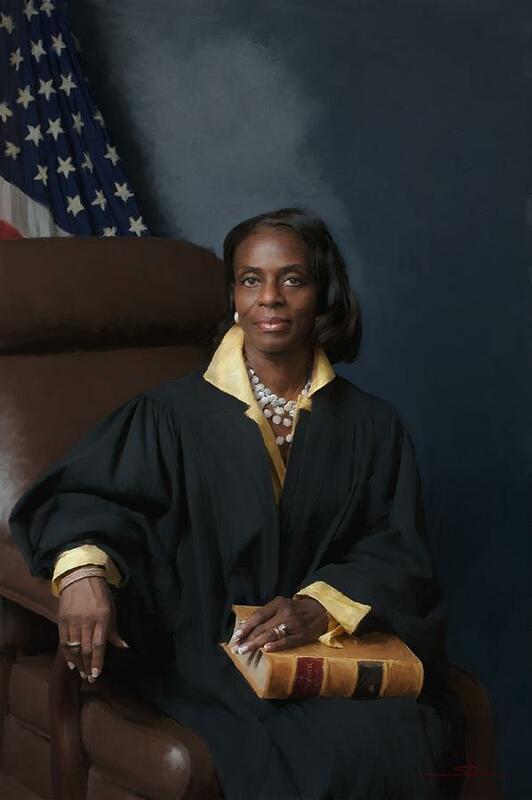 This is the Official Portrait of Judge Yates. She is the first African American Immigration Judge. Stunning work (all of them) Simply gorgeous! have you heard from the obama administration, i nominate you to paint the family white house portrait! Excellent work. It does look like a photograph, so realistic. Thank you all for saying such wonderful and encouraging words for me!! I am favoriting this piece. I am still finding it hard to believe it to be a painting. Too real. Thanks so much for your wonderful encouragements! I had to take a double look ... thinking I was looking at photogragh. Wonderful!